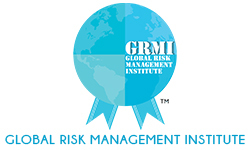 “Global Risk Management Institute (‘GRMI’) is a pioneer in the world of education in risk management. We have created a curriculum that spans across all aspects of enterprise risk – financial, operational and compliance, and provides nuanced insights across all key industry verticals. The team has worked hard to pull together an enviable mix of faculty members who bring just the right blend of international academic excellence and domain expertise in risk management. We believe deep domain knowledge, combined with experiential learning imparted by an exceptional faculty team, along with our on-the-job internship program, will make GRMI graduates extremely relevant and valued in their profession, whether in reputed consulting firms or in large corporates. Our aim is to cultivate and promote a generation of risk-intelligent professionals ready to navigate in a complex corporate environment, equipped with the knowledge of global markets and understanding of how risk and technology permeate every type of business. On graduating from our institute, our students, will learn to spot emerging market trends and capitalize on them for competitive advantage. My experience of 40 years, which includes many as Managing Director and member of Boards, has convinced me that though most organizations are sensitive to the inherent risks in their businesses they constantly struggle to create a structure which will give them a continuous flow of feedback on residual risks and solutions.. This is mainly due to a lack of talent in good understanding of risk and innovative problem-solving. Our Post Graduate Diploma in Risk Management (‘PGDRM’) program is especially structured to bridge a very significant talent gap existent in the industry. We train our students to find the most creative and appropriate solution for any business requirement. We aim to create leaders with an innovative and analytical mind, who can be the best in their chosen fields. At GRMI we not only provide ample opportunities to students to build a network with entrepreneurs and corporate leaders, but also make them part of a pioneering enterprise in the field of risk management in business education. Currently, Advisor (Agri-business) Chairman’s Office – Adventz Group. Former Executive Vice Chairman and Managing Director at Binani Industries Ltd. Former Managing Director at Chambal Fertilisers and Chemicals Limited.